Medical sonography is a field that continues to grow every year, and is expected to see excellent growth in the future, according to the U.S. Bureau of Labor Statistics. 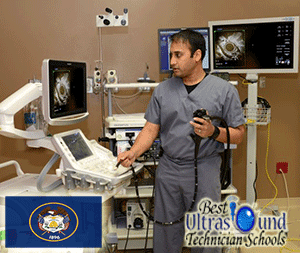 Individuals interested in obtaining sonography tech training in Utah have come to the right place. Read below to learn more. According to the National Center for Education Statistics and Education News, the only sonography tech school in Utah is Weber State University, which is located in Ogden, Utah. The university is accredited by the Northwest Commission on Colleges and Universities. This school meets the accreditation requirements for certification that are set by the American Registry of Radiologic Technologists (ARRT). The sonography program at WSU is designed for students who are already ARRT-registered technologists or have equivalent trained as determined by the school’s Department of Radiologic Sciences. The program offers areas of emphasis, so some of the courses required will depend on the student’s emphasis area. The classes, some of which are available online, are a combination of general education courses, diagnostic medical sonography courses, radiography courses, support courses and emphasis courses. Course topics may include patient care and assessment; sonography principles and instrumentation; sectional anatomy; and vascular, cardiac and abdominal sonography. In addition to the courses, students must complete at least 24-clock hours of clinical training each week at an approved medical facility. Graduates are eligible to sit for American Registry of Diagnostic Medical Sonographers national certification exams, as well as the ARRT certification exam in sonography. Utah requires their sonographers to be licensed. Licensures are valid for one year; technicians must complete continuing education credits to maintain licensure. Although Salary.com states there is a lot of variation in sonography tech wages in Utah, the U.S. Bureau of Labor Statistics reports that the 400 sonographers employed in Utah, as of May 2012, earned a mean annual wage of $66,060. This figure is very close to $66,360, which is the mean annual wage earned nationwide for this profession. Salaries may vary by city, degree earned, certifications obtained and level of experience. WSU offers a Bachelor of Science in Diagnostic Medical Sonography that offers students three areas of emphasis: cardiac, medical or vascular sonography. The cardiac and medical programs each take four semesters to complete, while the vascular sonography emphasis can be completed in three semesters and a summer session. WSU also offers certificates of completion in various advanced radiology areas, including medical sonography – cardiac and diagnostic medical sonography – medical, among others.